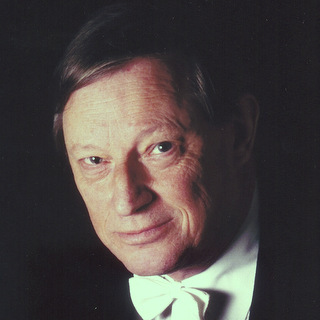 Martin Jones was a chorister at Magdalene College School and studied at the Royal Academy of Music. He has been one of Britain’s most highly regarded solo pianists since first coming to international attention in 1968 when he received the Dame Myra Hess Award. The same year he made his London debut at the Queen Elizabeth Hall and his New York debut at Carnegie Hall, and ever since has been in demand for recitals and concerto performances on both sides of the Atlantic. 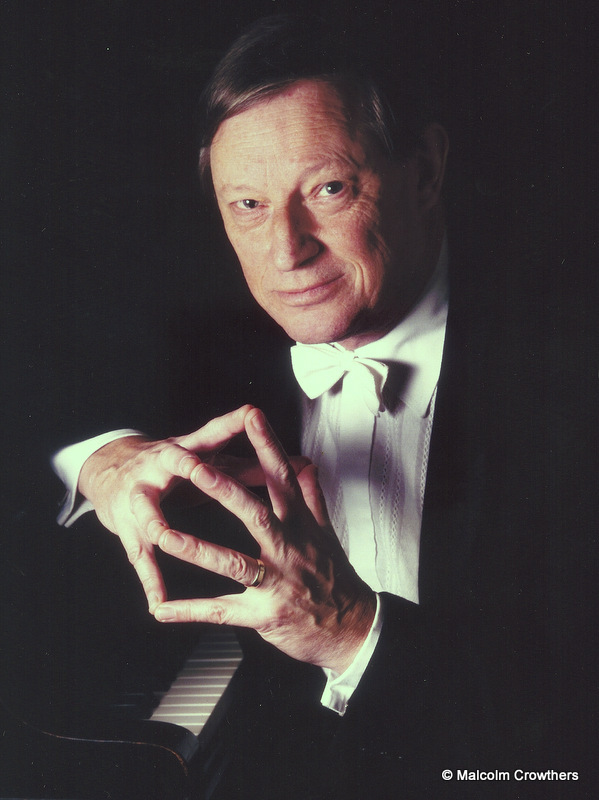 He is a prolific recording artist and his many discs for Nimbus Records include the complete solo piano works of Mendelssohn, Brahms, Debussy, Grainger, Szymanowski (voted Best Instrumental Recording of 1996 by the Spanish magazine ‘CD Compact’) Stravinsky, Korngold and the sonatas of Alun Hoddinott. He has recently recorded several Spanish piano masters and Volume 2 of this series received the 2000 Classical Indie Award from the Association for Independent Music in the USA. The soundtrack of the film ‘Howards End’ features Martin Jones performing Grainger’s Bridal Lullaby and Mock Morris. 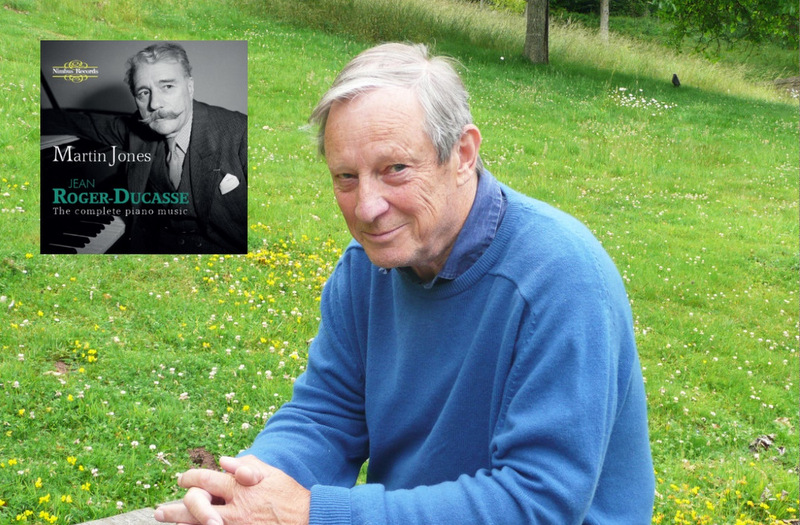 He has also recorded Grainger’s Tribute to Foster conducted by John Eliot Gardiner for Philips, Richard Addinsell’s Warsaw Concerto for ASV, a recital CD with horn player, David Pyatt, for Erato Disques, and Reger’s Clarinet Sonatas with Anthony Pike. Three CDs featuring Richard Rodney Bennett’s piano music have been released on the Metronome label with a fourth to follow. Most recent Nimbus releases include Gershwin transcriptions by Earl Wild, major piano works by Hans Gal and the complete piano works of Guastavino, Ernesto Halffter and Joachim Nin. He is currently recording Czerny’s Sonatas. Martin Jones has performed as concerto soloist with many of the leading British orchestras, as well as in the USA and Russia, and toured Canada as soloist with the BBC Welsh Symphony Orchestra. Performances include Shostakovich’s Concerto No 1 in Central and South America with the London Festival Orchestra, a regional tour playing Rachmaninov’s Paganini Rhapsody and Gershwin’s Rhapsody in Blue with the Hallé Orchestra, the Britten Piano Concerto in St Petersburg, the Schoenberg Piano Concerto with the Adelaide Symphony Orchestra, Scharwenka’s Piano Concerto No 1 in the USA, Brahms Concerto No 1 with the Oman Symphony Orchestra, Mozart’s K491 with the London Festival Orchestra, and Rachmaninov’s Rhapsody on a theme of Paganini with the Royal Scottish National Orchestra. Martin Jones has given recitals throughout Great Britain, and as well as regular broadcasts for BBC Radio 3, he has given recitals for Brussels Radio, RTE in Dublin, DeutschlandRadio in Berlin and ABC in Australia. In the USA he has served as jury member on a number of international piano competitions, and performed in New York, Washington, Florida, Tennessee, Louisiana, Texas, Utah, Wisconsin and California. In Los Angeles he gave a recital as part of the 1994 UK/LA Celebration of British Arts, which was broadcast live on KUSC Radio. He gave the world premiere of Ravelled Threads by American composer, Wendy Carlos in New York, and in 1996 he became the first major British artist to give a solo recital in Ekaterinburg, Russia. Other recital appearances include the Adelaide Festival, a programme of Percy Grainger at the Eifeler Musiktage in Germany, and the complete Iberia of Albéniz at London’s South Bank Centre.